Our corrugated products include corrugated boxes, corrugated packaging, the corrugated point of sale packaging, heavy duty, export packaging and corrugated retail packaging materials. Irwin Container & Packaging Corp. provides custom-made corrugated boxes in a wide variety of styles and sizes, and can work with large and small quantities. Our polyethylene bags are available for immediate shipment to our customers. These bags provide high-quality packaging, low cost, excellent moisture protection, and multiple selections for size, style and color along with a variety of printing options. 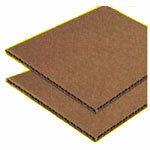 Envelopes and mailers are strengthened by chipboard. 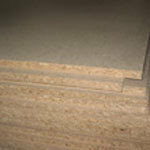 Chipboard is also available in boxes or to divide stacked products into layers or partitions. You can be assured that you are getting rugged, well-built folding cartons and boxes that will protect your product. Our extensive assortment of boxboard and paperboard packaging solutions are built and designed for efficiency and convenience. Folding cartons are custom made.